Is there anything Jay Z can't do? There is no denying that Jay Z is one of, if not the quintessential frontrunner for hip-hop's GOAT status. His discography boasts four classic records, his fortune is empire level, and his wife is Beyonce. Now, he's reached yet another milestone, being the first rapper to be inducted in the Songwriter's Hall Of Fame. While the accomplishment has been unanimously celebrated by us fans, Jay's company Tidal has compiled an extensive list of write-ups from Jay's musical colleagues and peers. 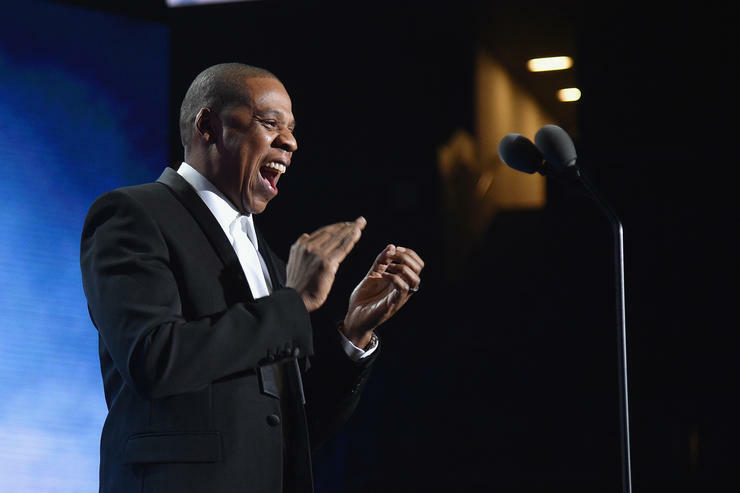 Artists like Andre 300, Nicki Minaj, Pharrell, Jay Electronica, Rick Ross, Bono, and many more go in depth about Jay's status in the game, and one thing is clear - the Jigga Man is respected by pretty much everybody.